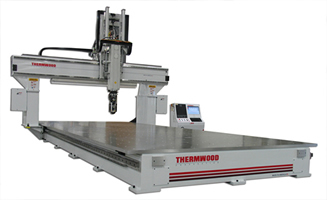 The Thermwood Multi-Purpose Five Axis Series combines all the elements needed for trimming formed parts, patterns or molds using five-axis simultaneous motions. 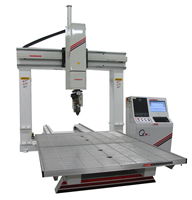 The Multi-Purpose 67 is an entry-level five axis available with a variety of either single or dual moving aluminum table sizes. 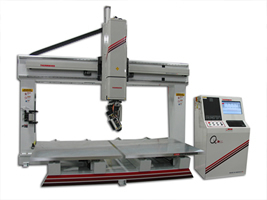 The Multi-Purpose 90 is a heavy-duty five-axis designed for high-speed trimming and pattern machining, available in single or dual moving aluminum tables. 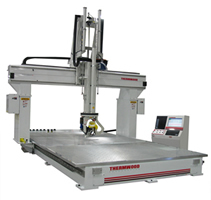 The Multi-Purpose 70 is designed for aerospace and composite applications utilizing large/heavy fixtures (various sizes available). 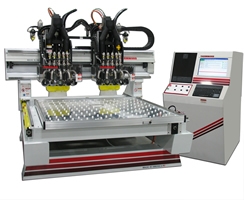 The Multi-Purpose 77 is a heavy-duty, high-speed contained system for the machining of large aerospace and composite materials (various sizes available). Smart-routers support pause technology. 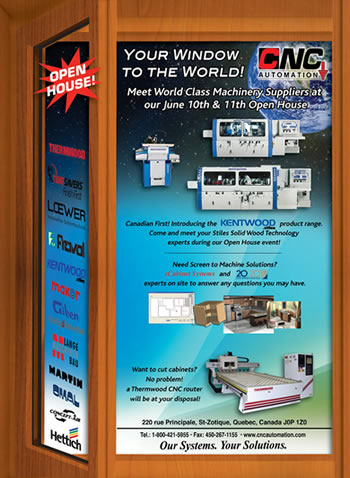 The operator is no longer forced to remain at the machine to stop it in an emergency. A pause button clipped to his belt can stop the machine, so the operator is free to perform other tasks away from the control. A progress bar, visible from a distance, shows the operator how long before he needs to service the machine. It’s like getting an extra worker for free. If you break a tool, the smart-router drops off the tool holder and tells you to replace the tool. 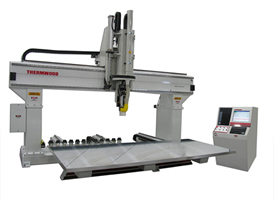 It then picks up the new tool, automatically measures it, adjusts the program for the new tool length and diameter, recuts the path of the broken tool and continues with the job. 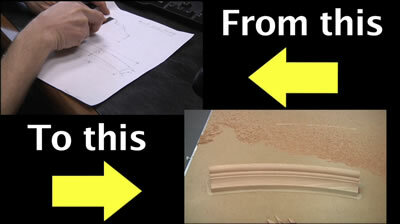 You can also abandon and recut the sheet you are working on. 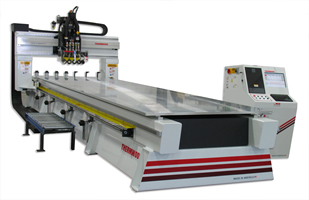 Perhaps the sheet is warped or you found an internal defect when you started cutting. 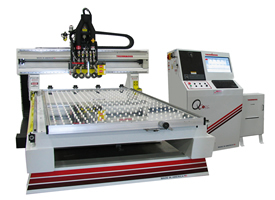 The machine gives you step by step instructions to replace and recut the sheet, right in the middle of the job. Perhaps some parts are moving because you didn’t fly-cut the spoilboard soon enough. You can instruct the machine to go ahead and finish this sheet, but leave a skin on all remaining parts so they won’t move and be scrapped. You can easily trim the skin afterwards and save the parts. 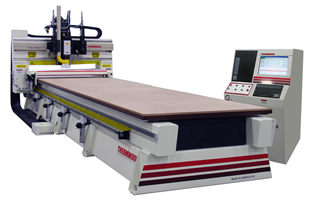 By the way, smart-routers can fly cut a spoilboard in the middle of a job, then adjust the program for the new spoilboard thickness and finish the job. If these types of problems are encountered on an ordinary router, addressing them is much more involved. 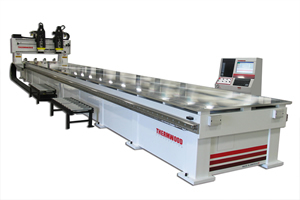 If you think about it, just the labor saving of being able to use the machine operator to do other tasks in the production cell is enough to pay for the upgrade to a smart-router. 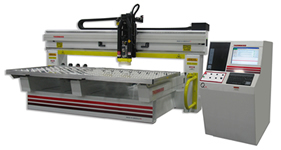 The savings in scrap, labor and programing when you encounter a problem makes it that much better. 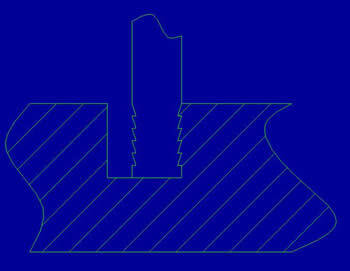 By the way, not fly cutting the spoilboard soon enough to keep parts from moving is probably the single most common reason for scrapping parts in nested based machining. 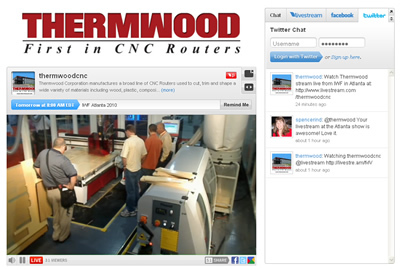 Smart-routers try to help by keeping track of where you have cut into the spoilboard as you machine parts. 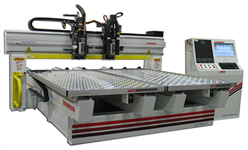 Before instructing you to load another sheet, it looks at the parts on the next sheet and at the cuts already in the spoilboard and makes sure every part has sufficient hold down area so it won’t move. 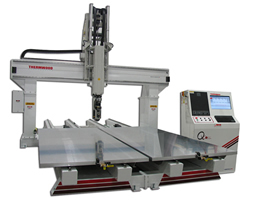 If any part falls below a minimum, it gives the operator a choice, either fly cut the top before continuing or it will leave a skin on the problem part so it remains connected to other parts around it and doesn’t move. Over time this saves a ton of scrap, a lot of time and a lot of money. 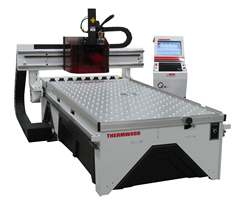 Thermwood CNC Routers are used in high schools, community colleges, universities and technical training centers all around the world to help teach the technology and practical application of CNC Router programming and operation. 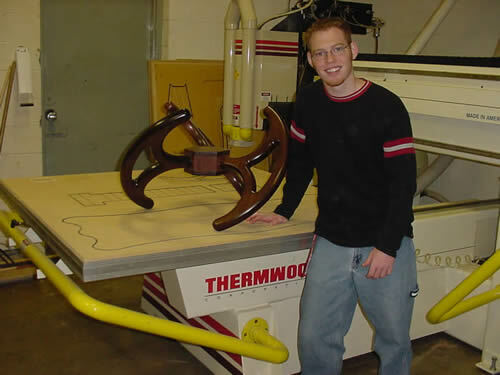 Not only do students learn the basic technology but they also experience full scale, full production machining operations (assuring that they are well prepared for real-world applications). 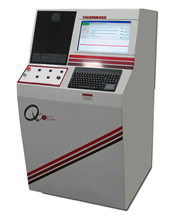 Each machine is equipped with the powerful QCore SuperControl which gives students the most advanced automated production features available, insuring state-of-the-art training. 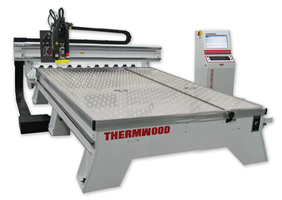 Thermwood also offers free copies of its eCabinet Systems software for classroom use as well as an individual copy for each student enrolled on an ongoing basis. 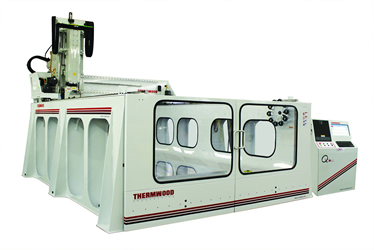 The Advanced Support Program assures that new features and technology are automatically added to Thermwood educational machines as they are released, pledging that students are always working with the most up-to-date technology available. 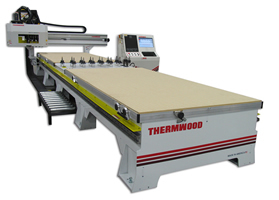 Thermwood machines and technology are ideal for training in today’s rapidly changing technical horizon. 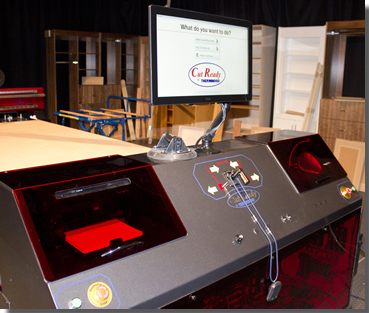 Please visit our educational applications area for more information and examples of Thermwood CNC Routers used in education.